Using only the best available components, builder and designer Chris Whitaker has been building cues that combine beauty, playability, and outstanding craftsmanship since 2001. In order to become the best pool player you can be, it’s essential you have a reliable cue you can trust. Since 2001, Chris’ Cues has worked closely with customers to provide them with the ideal cue for their needs. Whether you’re in the market for a custom cue that is truly yours, you’re looking for a used one with some good life left in it, or you need your favorite cue repaired, I can help you every step of the way. 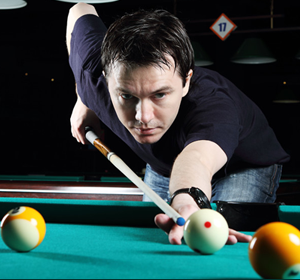 I work with all types of pool players, including beginners, professionals and everyone in-between those two endpoints. 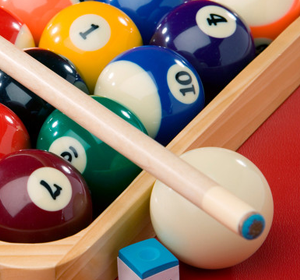 When selecting a pool cue, there are a variety of factors you should consider. For starters, you want to make sure your pool cue length suits your wingspan, and that you select a weight you feel comfortable with. When working with customers to make their dream cue a reality, we discuss what their ideal design is, what type of woods they would like used in their cue’s construction, the type of inlay materials they prefer and other a slew of other options that will make their cue unique. I have all-natural wooden cues for a sale that suit a variety of needs. From custom cues to “hustler’s cues” that are known for their balance and playability, to break and jump cues, I will help you find the right option for your needs. 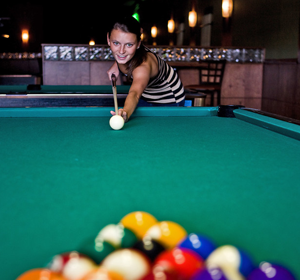 For more information or to discuss your pool cue needs, contact me today. Get a new handmade, high quality cue customized to be as distinctive as your game. Give yourself the best chance of success with customized break and jump cues. You and your cue have a lot of history. Keep it going with a superior repair service.